The Toronto Botox, Laser and Vein Clinic. ✓ The best Lasers, best results and reasonable rates. ✓ Friendly, no pressure consultations. ✓ Email any questions to clinic@baywoodclinic.com. ✓ Or Call 416-515-0007 to book a consultation with our physicians. The Physicians at the Baywood Laser & Vein Clinic provide patients with expert consultations for Cosmetic, Vein and Laser procedures in downtown Toronto. Services include botox, fillers, treatment of spider and varicose veins, laser skin rejuvenation, laser hair removal, laser tattoo removal, as well as laser treatment for acne, rosacea, and more. We use the most effective and safest laser equipment to offer you long-lasting results. The Doctors perform thousands of laser and vein procedures a year to ensure you are receiving the highest quality laser treatments available in Toronto. 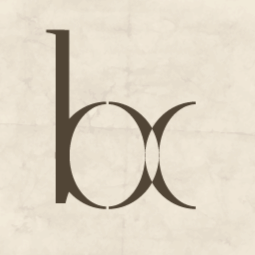 The Baywood Clinic provides premium cosmetic procedures for everything from fillers to laser hair removal. Interested in trying Botox for the first time? Or looking for more affordable treatment? Our Toronto Botox clinic charges $10 per unit and first time patients get their first 20 units for $99! Our physicians are Toronto’s experts for laser hair removal, personally performing thousands of cases every year. We use state-of-the-art medical technology for your hair removal. Painless and smooth! Are you thinking of laser tattoo removal for that old tattoo? Our doctors use the best tattoo removal lasers, and personally oversee 100 cases every month! Let us help you! Our Doctors use state of the art, non-surgical procedures to rejuvenate your face and skin! We focus on real, affordable results! Clear skin is one consultation away. Fillers erase lines and furrows on the face giving your lips fullness and definition. Results generally last 6-9 months, as this natural substance is gradually re-absorbed. Looking for Laser Clinics in Toronto? There are many reasons why the Baywood Laser Clinic should be your first choice! Our Doctors founded the Clinic in 2001. They personally perform all your laser procedures, something you will rarely find in Toronto where many medi-spas employ non-medical personnel. Every consultation is performed by our physician as well, so you can rest assured your treatment plan is appropriate and safe. The Doctors are certified by the American Board of Laser Surgery and have performed over 100,000 procedures, on over a dozen laser systems and on every possible skin type. We also have a certified Laser Safety Officer, to ensure that our equipment is up-to-date and well maintained, something mandated by the Ministry of Consumer Affairs, but not often found in medi-spas. We take your safety seriously. Whether it’s a simple procedure like Botox, or an invasive procedure for varicose veins like EVLT, you can be sure you are getting serious, medical care. And isn’t that re-assuring? Our Experience? We were one of the first Toronto Laser Clinics! We never upsell, and there is never any pressure or sales tactics. The doctors at our Toronto Laser Clinic here for you, to make sure you are comfortable with your treatment, whatever it might be. Our Equipment? Our Toronto Laser Clinic uses what works best! We have seen many fads come and go in the laser and Cosmetic Medicine business. We only use tried and true, gold-standard equipment, and only recommend procedures we are confident will have an excellent chance of success. The newest laser is not necessarily the best; if something that is really an improvement comes on the market, we buy it! The same applies to all the products we use at our Toronto Laser Clinic for your treatments and any products that we sell. We only choose the best, products and medicines that we know work, based on the scientific literature and our own experience. If we wouldn’t recommend it to our families or friends, we won’t recommend to you and yours! For some procedures like Juvéderm fillers or sclerotherapy, we use experienced, licensed Nurses to work with you. Our Nurses are the best in the business, having ten or more years’ experience in a variety of settings. In fact, they often are called to act as Instructors at training programs designed for Doctors! We have total confidence in their expertise, to the point they have treated many members of our own families. Now that’s confidence you can count on! Our Location? Our Toronto Laser Clinic is easy to get to! Our Laser Clinic located right in the heart of Toronto – on Bay Street just south of Bloor. It’s an easy walk to our laser clinic from the Bay or Wellesley Subway stations, a bus stops right across the street and there is parking right under the building. Many of our patients work in downtown offices and come at lunch or after work, even though they live out of the central part of the City. We also have many patients from out of town – laser tattoo removal patients come as far away as Sudbury. And we have quite a few patients who have relocate to places like New York City or London, England, who always make sure to visit our laser Clinic in Toronto when they return home to see family. We do not have to spend a lot of money on advertising, since most of our new patients come from patient referrals. We get wonderful reviews all the time, even though we never ask for them. Our Vein Clinic gets referrals from many Family Doctors, and our laser tattoo removal practice is full of patients sent by leading Toronto tattoo artists. They have faith that we will do a great job, so that their cover up tattoos will look wonderful. Since we have been around for almost 20 years, we often see many members of the same family, or colleagues from the same workplace. Many times, we see a patient who later brings a partner, parent or friend. We love meeting new patients and take the time to get to know them. Sometimes it isn’t too good to be true! We often see patients who have had disappointing experiences with coupon-type deals. When they visit, they are surprised that our laser clinic prices are usually the lowest in Toronto. Rosacea treatment, for example, is far less expensive than the Hospital clinics, even though we use the same equipment. We offer fantastic deals for new patients for Botox, facial fillers and other treatments. Overall, since we do not employ an army of hard-sell staff, don’t have a fire-place in our waiting room (that you pay for! ), and have great relationships with the best laser engineers in town so we can keep our prices affordable and fair. Time after time, patients tell us how they’ve shopped around and come back because of the quality of the Clinic, and the expert, friendly environment we provide. Our number one priority is you. We strive to make sure every patient gets the best possible advice, even if that means doing nothing. Many times, we advise a patient that a procedure is not right for them, or that they delay making a decision. More than once, a patient who insisted on trying a new procedure despite our not recommending it, comes back after trying it at another clinic, only to admit they should have taken our advice. We want our patients to be satisfied, to reach realistic goals and expectations, so that they feel the time, effort and money they have invested was worth it. Our staff do not work on commissions, as in many medi-spas, so they have no pressure to sell. We treat our practice like it is – Medicine – and strive to give each and every patient professional medical care. Looking for a Toronto Botox Clinic? Patients in Toronto looking for Botox in Toronto find the Baywood Clinic a great choice. Our doctors personally inject every patient and have 20 years experience. Our Botox prices are just about the lowest in town, and we offer great specials for first time patients, or for patients who refer their friends to us. We also offer free Botox for anyone who would like filler treatment with Juvederm. Botox is usually used as part of a facial rejuvenation plan. It is useful in reducing or preventing lines and wrinkles around the eyes, forehead and frown, and when used in conjunction with Juvederm offers a nice SoftLift. We can add volume to your cheeks and lips, reduce smile and lines around the mouth, and generally improve you appearance. Other treatments that we use for facial rejuvenation include the VBeam laser. This laser is typically used for Rosacea and facial veins but is also excellent for producing collagen and allowing the skin to take on a soft and radiant look. In conjunction we sometimes use the SmoothBeam Diode laser, which uses a very high wavelength that penetrates deep into the skin. This creates a lot of deep collagen and it is very effective at softening fine lines, as well as a useful treatment in resistant acne. We also use Botox for the treatment of axillary hyperhidrosis, or excessive sweating of the underarm region. Many patients in Toronto suffer from this condition, about 2% of the population. It is embarrassing and uncomfortable and they are very relieved to learn there is and effective treatment. Botox is usually covered by group insurance plans for this treatment, and our Doctors have been using it successfully for 20 years. It involves about 8-10 small injections, that are not painful, in the surface skin of each armpit, and after 5-9 days patients find they are almost completely dry. Botox used for hyperhidrosis lasts about 6-12 months on average. Botox has been used for medical conditions, especially muscular disorders and neurological conditions for almost 40 years, and it is extremely effective and safe. There are countless research studies done every year to ensure that it is effective and has no long term side effects. In a typical year, 30 million or more individuals in North America use Botox treatment for cosmetic purposes, so it is a very popular procedure for facial rejuvenation. At our Toronto clinic we see patients from every walk of life, every age group and ethnic background. Men are increasingly among our patients, and approximately 40% of our Botox cases are male. Patients often comment how relaxed they look, and in many cases they notice that tension headaches are reduced. Especially for those who work extensively with computers, and find at the end of the day that they have headaches behind the eyes, Botox can be of benefit. 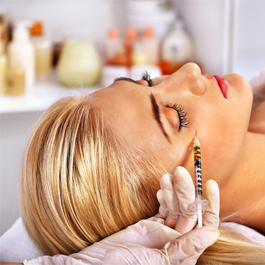 Botox can also be used to treat migraines, although this is not something we do at our Clinic. Our experience is that about 50% of our patients who have tried Botox for these headaches gain an acceptable amount of relief. Generally we suggest patients visit one of the Major hospital pain clinics for this treatment, since a complete neurological exam is required to ensure that the headaches are actually migraine in nature. 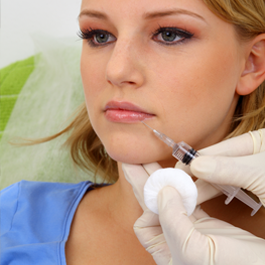 We are happy to suggest several clinics that offer this Botox treatment in Toronto. 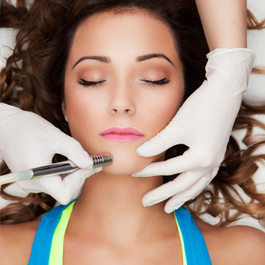 We also use Botox for masseter reduction, commonly known as jaw slimming. This procedure is very popular among females, but we are careful not to overpromise, and discourage its use if we feel it is not likely to have a good result. Many young women have been led to have unrealistic expectations for jaw-slimming, and we are careful to inform them of the actual chances for success. We can also use Botox for teeth grinding and TMJ, and get many referral from dentists for these conditions. Botox injected carefully in to masseter muscles in the corner of the jaw, weaken the muscle and reduce the grinding and tension that causes TMJ pain. It is very effective, and patients usually return every 6- 12 months for maintenance doses. Many patients suffer from spider leg veins; typically, over half of females over the age of 30, and a smaller number of males complain of this condition. 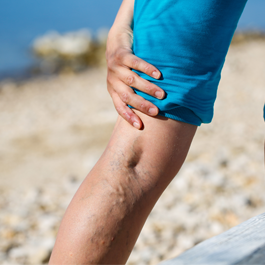 At our Toronto vein Clinic, we are experienced in dealing with all manner of vein problems. For larger, bulging and blue varicose veins we offer EVLT, which is a laser fiber that our surgeons gently insert into the vein to collapse it. It is a highly effective method for treating varicose veins in Toronto. For smaller spider veins, which are hair-like and thin, we use sclerotherapy. This is the state-of-the-art worldwide for the treatment of spider veins. Our nurses are expert injectors, using tiny, almost invisible needles to gently inject each vein, causing it to disappear. They also are expert at identifying the larger feeder vessels, by using special illumination equipment, in order to ensure the fewest number of treatment sessions. This is important because we often see patients who have spent thousands of dollars over many years, with endless treatment that never got to the source of the problem. We also have lasers that we can use for spider veins, but rarely do so on the legs as sclerotherapy is so effective, However, for facial veins, laser is the best treatment, as there is not risk of ulceration. It works amazingly well, and our lasers are the gold standard in major teaching hospitals worldwide. Why choose our Toronto Vein Clinic for sclerotherapy? At our vein Clinic, you will meet a Physician at your consultation, unlike many medi-spas that only try to treat spider veins with laser. The Doctor takes a complete medical history, examines your legs with a Doppler Ultrasound, and decides whether or not you need a complete Duplex mapping. If you have varicose veins, we will arrange such a scan, covered under OHIP, at a nearby hospital. If the results of this scan are positive, it means that you have a major valve leak, and usually require seeing our surgeon for discussion of an EVLT procedure. If the scan is negative, we are confident there is no major issue, and we can go ahead and start sclerotherapy on the smaller spider veins. This usually takes 3-4 sessions. We also offer compression stockings for sale. These are fashionable and come in a variety of styles, colors and strengths. No longer the old style of stocking that looked very bulky, these stockings apply gentle pressure to the legs to prevent reverse blood flow which causes spiders. Many patients can’t believe how great their legs feel at the end of a long day standing or walking when wearing these stockings. Patients who are in professions that require a lot of standing or walking, such as teachers, airline attendants, postal workers, salespeople, find them indispensable for comfort and to prevent further spider and varicose veins. If we prescribe them they are typically covered by your group health plan. We take careful measurements as each pair is custom fitted for your style preference, size, and strength. They are among the most popular items that we carry for any medical condition and are well worth investing in. You can trust the Doctors at our Vein Clinic, to give you honest, expert advice on how to treat your problems. In Toronto, we have an excellent reputation that has only grown over the last 20 years as we have seen thousands of patients who are happy with our honesty, and their results.